Only 7 x 9cm (2.8" x 3.5") in size. 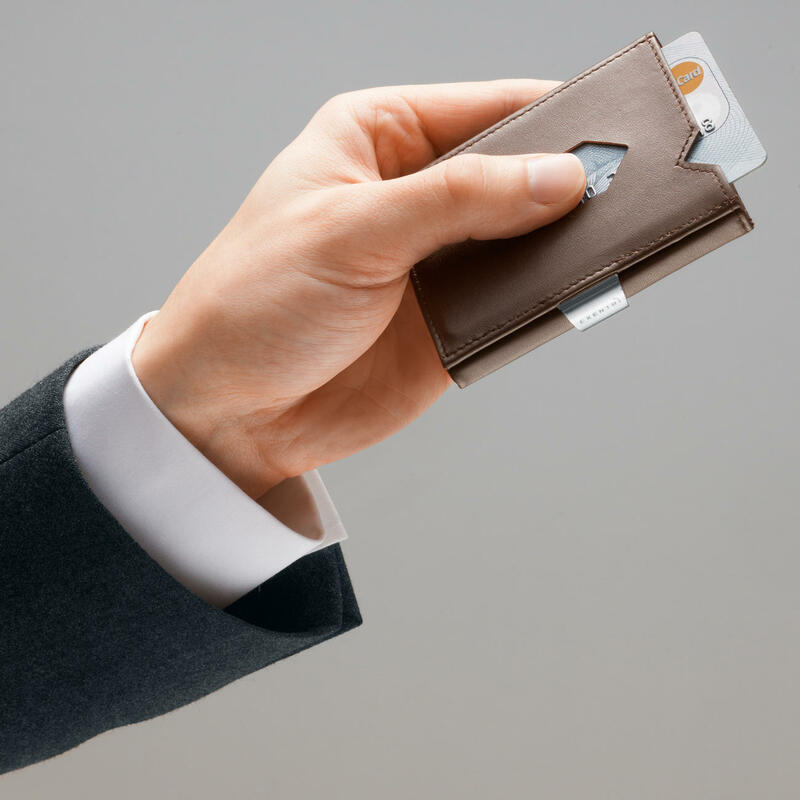 Fits comfortably in the pocket of your trousers or jacket. Made of robust cowhide leather with stainless steel lock. The card holder with 2 quickly accessible compartments. Instant access to your most used cards. Avoid a long search when you open your wallet to find a card. 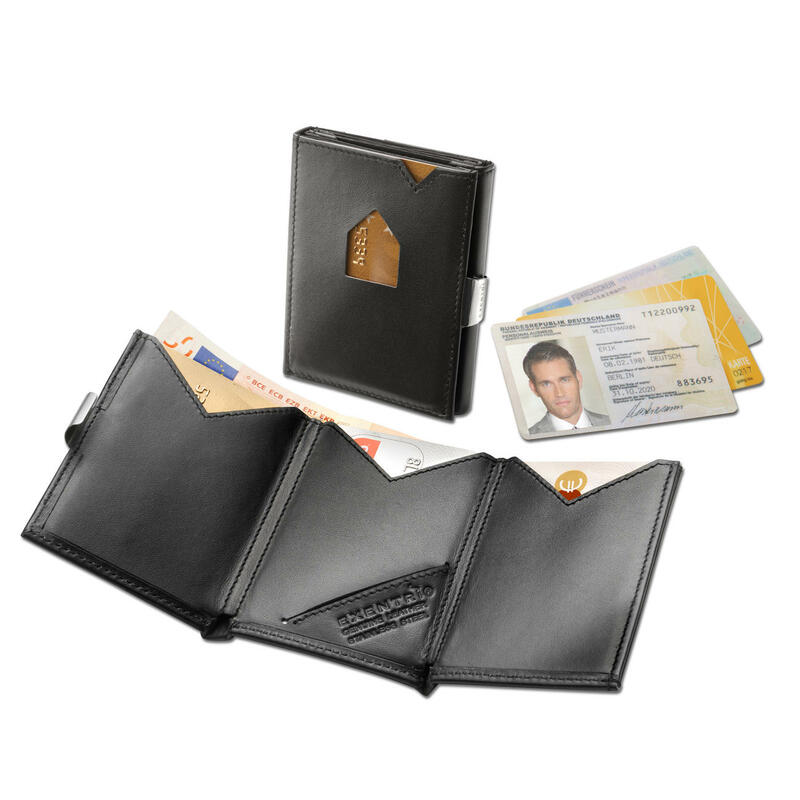 The windows on each side of this wallet give you instant access to the cards that you need without any hassle. With the flick of your thumb they will slide in and out from the slots that easily open at the top. 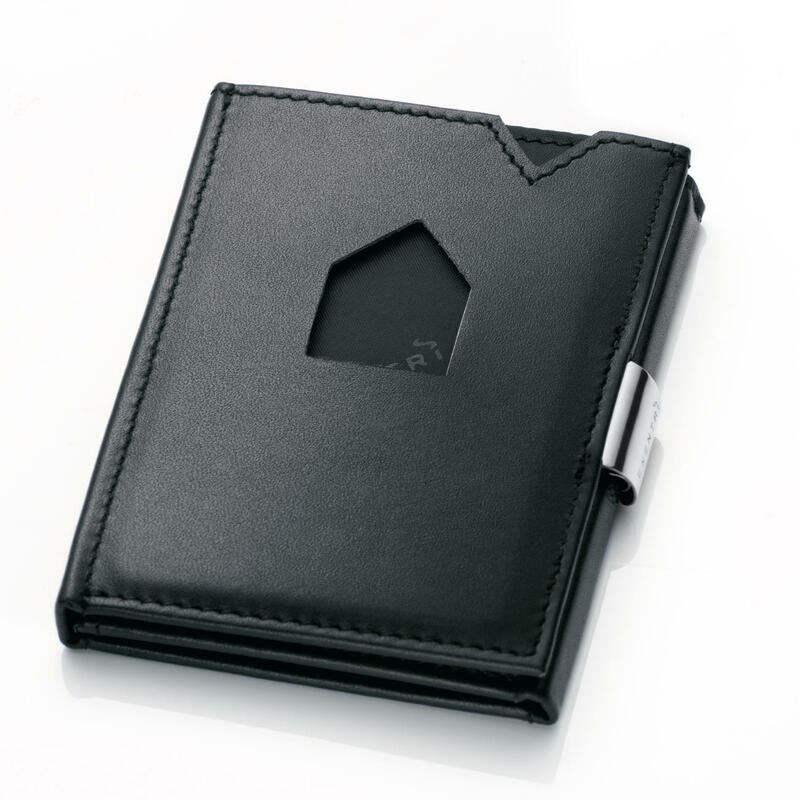 It’s ideal for your daily used bank cards, credit cards, driving license etc. The 6 slot compartments can hold 12 cards. 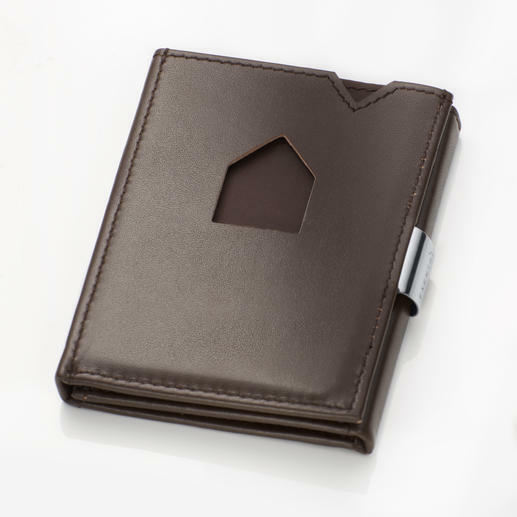 Bank notes (or receipts) can be tucked away without the bother of folding in the 19.5 x 9cm (7.7" x 3.5") (W x H) compartment. It even features a small slot for a parking ticket. There’s no coin compartment so it's ultra flat and won’t feel bulky in your pockets and it can be easily concealed, even in slim-fitting jeans. Available in black or brown. Size when closed 7 x 9 x 1cm (2.8" x 3.5" x 0.4") (W x H x D). Weight approx. 50g (1.8 oz).